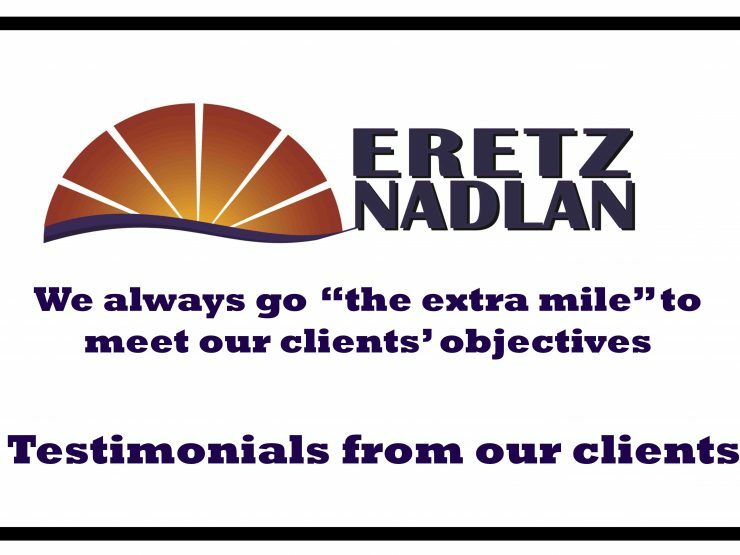 Modiin Real Estate Agency, What Clients Say About Eretznadlan ! 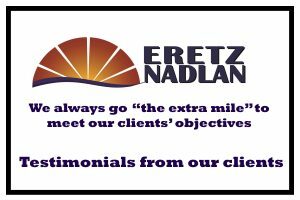 Eretznadlan is a Modiin real estate agency and this articles give testimonials from a few of our many happy clients. Thanks for the amazing service! I was worried about trying to arrange a tenant for my apartment in Modiin and looking after the apartment while I’m so far away in South Africa. I couldn’t believe how efficient and smooth the entire process was. All the finishing touches for my apartment were arranged for me and I now have wonderful tenants. Eretznadlan has always proven itself to be a top class real estate agency. Their staff has always given me a 100% professional and personal real estate service and have always put MY interests first. If I need real estate service in Israel in the future I will definitely choose Eretznadlan. Before we made Aliya, we contacted Jacob and Michael to help us find the right home in Modiin. They were highly recommended to us by friends who had used their services and were indeed very happy with them. Lo and behold, we were not disappointed. They took so much time to show us around Modiin and all the different types of houses available on the market. This was fantastic as it introduced us to Modiin and the different options we had. In the end, we decided to rent an apartment for a year before we committed to buying and their agent Susan helped us to find the perfect place for us. What we found with Jacob, Michael and Susan was that they were so reliable, honest and had so much time and patience for us. A unique quality for people to have in Israel. We were happy clients and highly recommend to anyone thinking of buying or renting property in Modiin, they are real experts.